Home>New Songs>Murs Songs> Murs - Here Feat. ¡Mayday! Murs just showed up in the video for Tech N9ne's Strangeulation single, "Hard", and now gives us another collaboration-- this time with ¡MAYDAY! who he'll be doing a joint album and tour with. 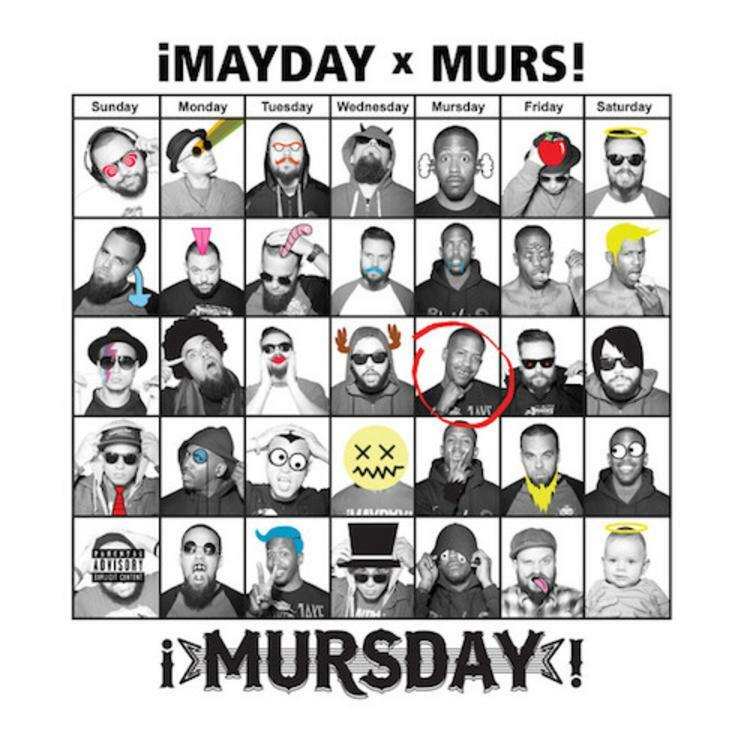 The duo's upcoming project, fittingly titled, ¡MURSDAY! is set to hit stores June 10th, and today they share "Here", a fairly low-key track for the generally quite animated pair. It can pre-ordered on iTunes now, and according to the tracklist, there will be no features on the 16-cut project. Look out ofr at least one more leak before the album gets its official release. You can listen to another song from the project, "Tabletops" here. SONGS Murs - Here Feat. ¡Mayday!